18k yellow and white gold ring with diamonds. 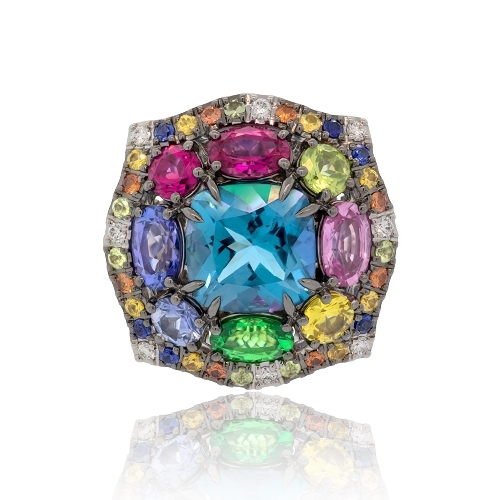 blue topaz, rubellite, peridot, tanzanite, tsavorite, and colored sapphires. Ring size 6.5.